Bali continues to become a tourist’s magnet from around the world. This lovely island has a natural beauty, art, and culture which are unique and spectacular. The panorama of rice terraces and plantations, beautiful beach, off coast islands that are interesting to be explored, sacred temples and several tourist attractions has become a major destination for visiting Bali. Agriculture as a primary sector has been the main pillar of life for the majority of the population in Bali. The government continues its efforts to improve the lives of people especially farmers. One of the efforts is to combines the agriculture and tourism or widely known as agro-tourism. Agro-tourism is expected to increase farmers' income, keeping farmland remains sustainable and avoids marginalize. Agro-tourism concept has now developed in several locations in Bali. The development form is categorized into Capital Base and Community Base. The Capital Base is done by companies or financers. The small group of people (community in the village) is collaborated in Community Base to create agro-tourism. Agro-tourism in Community Base has been adopted by several groups or communities. One of them is located in Kintamani, Bangli Regency, Bali. 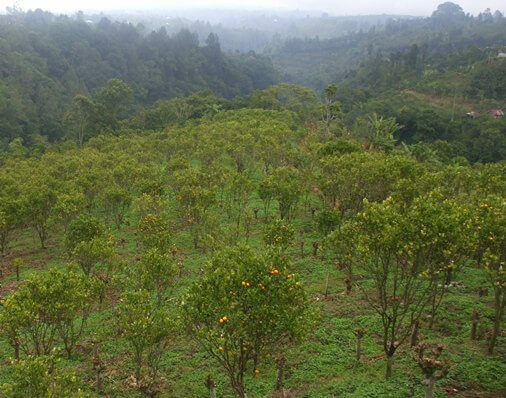 The highland of Kintamani, in addition as the largest producer of Arabica coffee in Bali, also produces the famous orange Kintamani. The citrus trees grow without other plants. 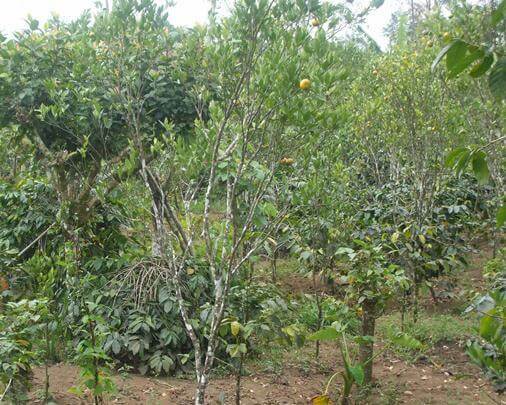 But in general, farmers usually planting the citrus trees on the sidelines of the coffee. Kintamani Orange as one of the featured varieties has become the foundation of life for the citizens of Kintamani along with Arabica coffee. The demand of the local markets to orange is pretty good and also to meet tourist demand. Both of these commodities have been able to improve the living standards of citizens in Kintamani and the surrounding areas. There are several varieties of oranges grown in highland of Kintamani consist of: tangerines, siem and selayer. Among the three varieties, siem orange is the most favorable both in traditional and modern market. Siem orange has the best price in the market (among the three varieties). This variety is cultivated by most citizens in Kintamani. 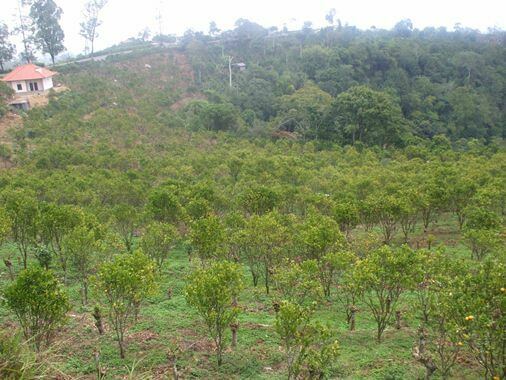 The cultivation area of Siem Orange in Kintamani consist of several villages such as Chess, Belangan, Bayung, Manikliyu, Bunutin, Lembean, Langgahan and others. 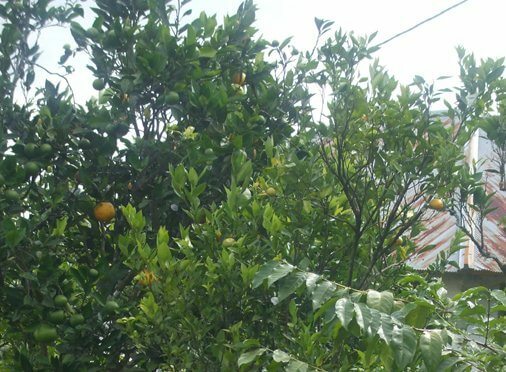 Kintamani Orange has been established as featured varieties based on the Ministry of Agriculture No. 191/Kpts/SR.120/3/2006. This variety has characteristics as follow: high productivity; rind is yellow to golden yellow and easy to peel; water content, vitamin C and calcium is high; taste sweet and fresh; long shelf life; and adapt well in the highlands. Catur Village as one of the producers of citrus in Kintamani has adopted the concept of agro-tourism. The village is located in the strategic path connecting the three regency (Bangli, Badung and Buleleng) and is one of the route to visit Mount Batur and Lake Batur. The cool temperature of the Kintamani Highland (900-1200 metes asl.) combined with the vast plantations of citrus and Arabica coffee, are certainly the main attraction for tourists, recommended and worth a visit! Walking amongst citrus trees, take a long breath, and enjoying the natural scenery are certainly an interesting thing that should not be missed. You can even interact with farmers in the activities such as planting, fertilizing, and the crop maintenance. It's become more special when the harvest season (August-October). Visitors can participate in the activities of picking and tasting the sweetness of Siem Orange straight from the garden. You can visit with family. It also become good media learning for kids and forms a close relationship with nature. Budiasa, Wayan; Ambarawati, Ayu. (2014). "Community Based Agro-Tourism As An Innovative Integrated Farming System Development Model Towards Sustainable Agriculture and Tourism in Bali" (PDF). ISSAAS. Retrieved August 21, 2016. Satriawan, Ketut; Pujaastawa, Gde; Sarjana, Made; et al. (2015). "Development of Small-scale Agro-tourism in the Province of Bali, Indonesia" (PDF). AENSI. Retrieved August 21, 2016.